How secure is your E-vote? 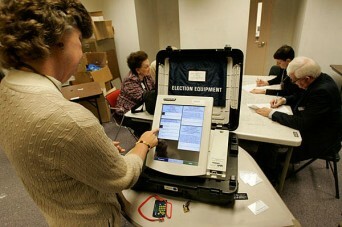 When you cast your ballot for Election Day 2012, there’s a good chance it will be on an electronic machine. But are these devices really trustworthy? According the experts, there might still be some reliability issues, but your e-vote today is much more secure than it was four years ago.